Our School Engagement Team is expanding! 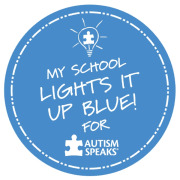 Would you be willing to help us reach out to schools in these districts and get them resources that Autism Speaks provides? We would ask that in March/April you deliver these resources and in July/August you return and provide them with brochures and posters. We have a great Committer run by two amazing volunteers, but they need help! You can organize your time, but each volunteer will choose how much time they can provide.